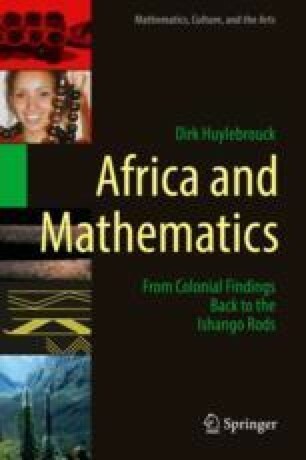 Whatever the correct interpretation of the first Ishango rod may be (discussed in the previous chapter), the number of possible hypotheses shows the rod merits its title of “oldest finding in the field of mathematics”. Yet, could it in addition pretend to be “at the origin of mathematics” or was it a rather singular finding? This meaning is discussed in this chapter, as it presents summaries of results from linguistics, archaeology, mathematics, culture, genetics and ethnography, about the connections between the region of Ishango and the rest of Africa, and hence about its possible influence on the Western world.